Not the strongest storyline in the series, bogging occasionally in guide-book style local historical detail, but entertaining nevertheless with Penelope Keith delivering an impeccable and delightfully handled performance as always. I absolutely love Agatha Raisin's character, she is so funny, strong-willed but also sensitive and vulnerable! I love Penelope Keith as the narrator, better than the plays actually, which is unusual for me. The issue I had with this one is, I didn't like the police detective, I like Bill Wong and didn't like this other guy taking that role! I also got a bit fed up with James, why is he being so damn difficult and nit-picky! He either likes Agatha or he doesn't! It's interesting to see the development between the characters but with this one we didn't really get that as none of the normal crowd were in this story, I think that's possibly why I didn't like it as much. But still a good murder mystery! i listen while i am driving around for work, enjoyed this book as it was easy to follow and well read. Thoroughly enjoyable and very funny. One of best in series! Have read all the books in this series now and this is by far one of the most enjoyable! 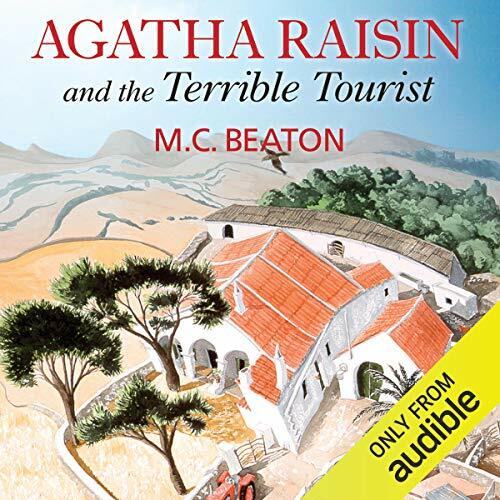 Agatha Raisin brought to life! I love the way Penelope Keith narrates these tales, she makes each character individual & believable! Her acting combined with the great adventures make a great team! Since the Agatha Raisin series is not available in German, I started reading them in English. Penepole Keith IS Agatha. I downloaded a lot of the audiobooks and after finishing one, I cant wait to start the next one. I can't explain the attraction of this series of books for me. They're a collection of stereotypes strung together in completely preposterous storylines. The writing is appalling. And yet for some reason I keep getting drawn back to their empty-caloried addictiveness. This one is particularly bad with our heroine suddenly jumping into bed with the most oily man ever written and our emotionally unavailable hero off stage pursuing drug runners. I'm off to read the next one.